The Japanese company Oki Electric announced the development of an iris recognition technology for cell phones, in the first application that uses the existing video camera of your phone or PDA, in an ultra high level of security protection. No one will ever be able to make any calls, or to access the web from your phone, unless it is authorized by you. 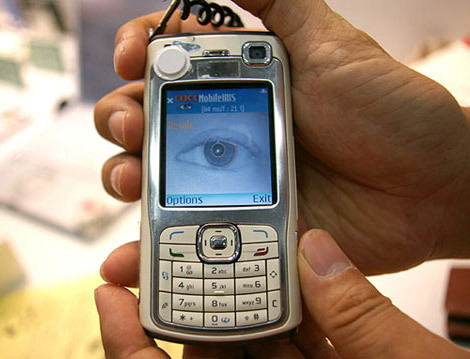 The software Iris Recognition Technology version 1.0 needs a 1 or 2 megapixels camera to function properly, and is based on a proprietary algorithm designed to work with standard cameras on mobile phones. The program runs on both Windows Mobile and Symbian, so it’s compatible with a lot of cool mobile phones on the market, and it should probably work with your current phone. Find out more about this cool technology at Oki Electric (translated).